Tolerance is extended to policies, conditions, and modes of behavior which should not be tolerated because they are impeding, if not destroying, the chances of creating an existence without fear and misery. This sort of tolerance strengthens the tyranny of the majority against which authentic liberals protested… Liberating tolerance, then, would mean intolerance against movements from the Right and toleration of movements from the Left. The idea of “liberating tolerance” then is one in which ideas that the left deems to be intolerant are suppressed. It is an Orwellian argument for an “intolerance of intolerance” and it appears to be gaining traction in recent years, reshaping our commitments to free speech, academic freedom, and basic democratic norms. If we look only at people under the age of 40, intolerance is correlated with a “social justice” orientation. That is, I find that people who believe that the government has a responsibility to help poor people and blacks get ahead are also less tolerant. Importantly, this is true even when we look at tolerance towards groups other than blacks. For people over 40, there is no relationship between social justice attitudes and tolerance. I argue that this difference reflects a shift from values of classical liberalism to the New Left. For older generations, support for social justice does not require a rejection of free speech. Thus, this tension between leftist social views and political tolerance is something new. In fact, the idea that one should be “intolerant of intolerance” has taken hold on many college campuses, as exemplified through speech codes, civility codes, and broad, sweeping policies on harassment and discrimination. Students now frequently lead protests and bans on campus speakers whom they believe promote hate. How does this all affect the “marketplace of ideas” in higher education? On the one hand, my coauthors and I (Rothman, Kelly-Woessner and Woessner, 2011) have found little evidence of what one would call widespread indoctrination. Rather, college students leave after four years with political values and attitudes that are quite similar to those they brought with them. That does not mean, however, that politics doesn’t matter. Rather, the willingness to listen to opposing viewpoints and exercise tolerance is predicted by one’s exposure to counter-attitudinal messages (Mutz, 2006) . In other words, listening to viewpoints that contradict our own makes us more tolerant. In this way, the lack of ideological diversity in higher education contributes to intolerance, especially among leftist students. This is a point that President Obama made forcefully in a recent speech in Des Moines, Iowa. When colleges fail to represent the full measure of political ideas, students are less likely to learn to tolerate those unlike themselves. This, combined with the New Left’s legacy of “liberating tolerance,” creates an environment that values anger and orthodoxy over inquiry and debate. April Kelly-Woessner is Professor of Political Science and Chair of the Department of Politics, Philosophy and Legal Studies at Elizabethtown College. This article was originally published at the Heterodox Academy. Read the original article here. Esssential analysis and urgently needed. Also the better for steering a rational path away from the Frankfurt School Conspiray Theory whilst recognising the damaging impact Marcuse has had in political tolderance and academic freedom. Your timeline doesn’t add up at all. The New Left is the generation of leftists who were student radicals in the 1960s and 1970s. They are now all in their mid-sixties to mid-seventies. And yet the dividing line in your data is people over the age of forty versus those under forty, and you repeatedly imply that the under-40s are the “New Left” (which is obviously false). 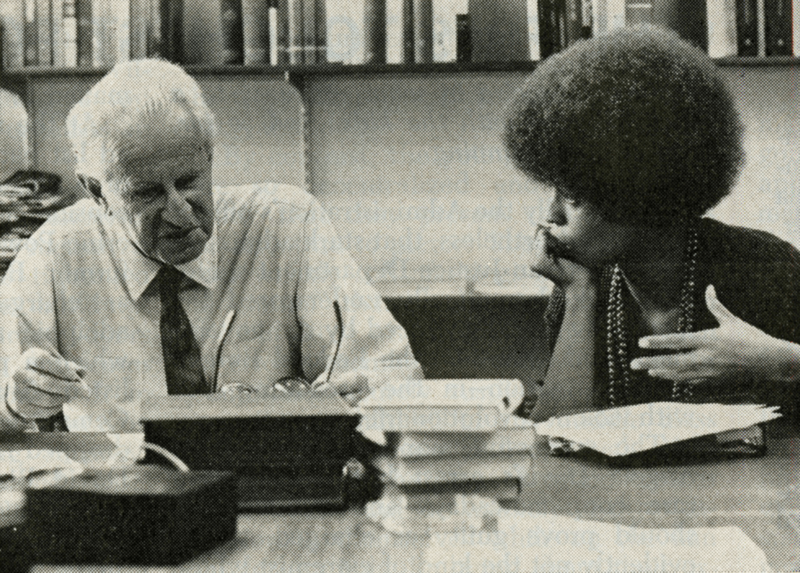 None of this supports the conclusion that Marcuse has played the pivotal role; most young leftists today have never even heard of him. You would be much better served by looking to the “political correctness” campus battles for better representation in course syllabi in the 1990s. Previous PostWhat Does Science Tell Us About the So-Called Ferguson Effect?